Returning in a blaze of colour, Roof East are back for another summer season. 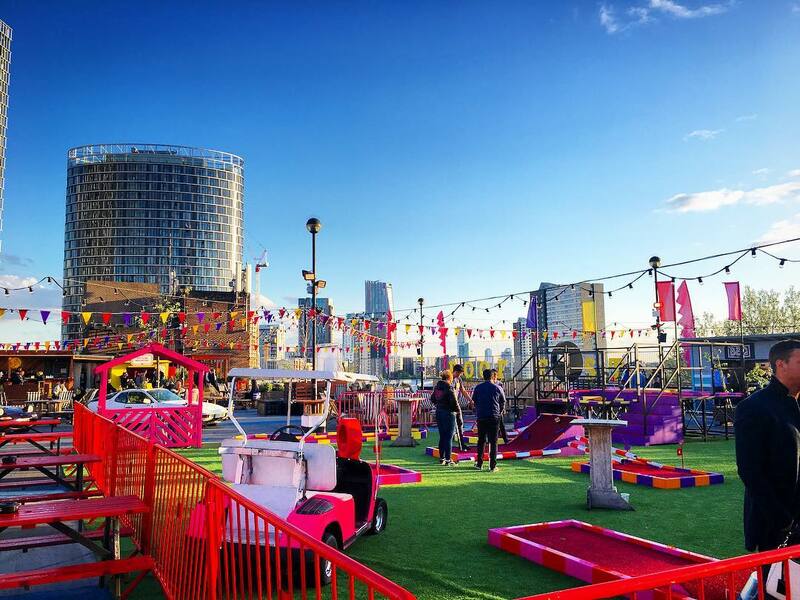 Adding a pop of colour to the imminent London summer, Roof East and SFG Club will throw open the doors for another runaround on April 17th. 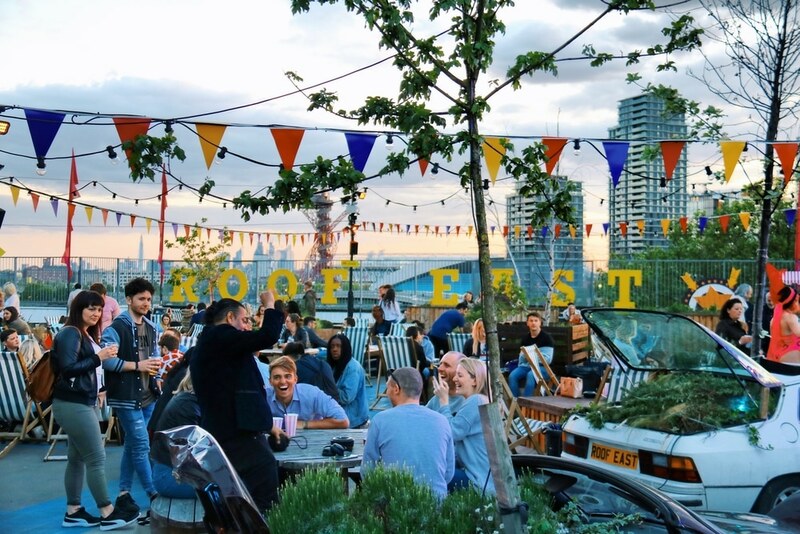 Feeding London’s enduring love affair with rooftop pop-ups, the Roof East gang are aiming for an even bigger and better season in 2019, turning this east London multi-storey car park into a free-spirited playground. 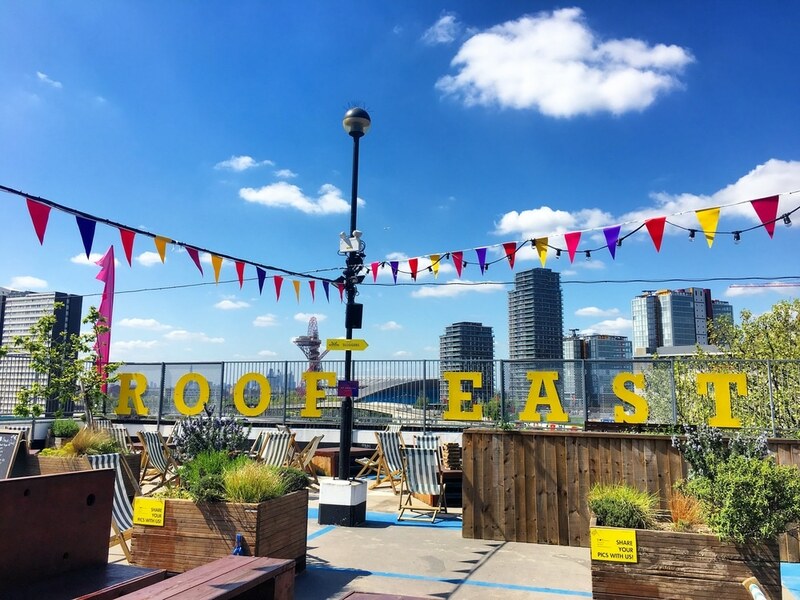 Joining Peckham Levels and Skylight in the “multi-storey car parks turned event space” category, Roof East have shied away from a themed offering this year. Unless the theme is ‘all the colours’, given the vibrant visuals that now dominate the rooftop. Also taking to the roof are Sluggers, the ever-popular rooftop batting cages, along with curling, bowling, and shuffleboard lanes. Roof East also sports free tabletop games, because what’s a little light competition amongst friends, eh? New for 2019 is House of Foos, a VR-heavy football/table foosball hybrid that’ll have you channelling your inner Harry Kane. 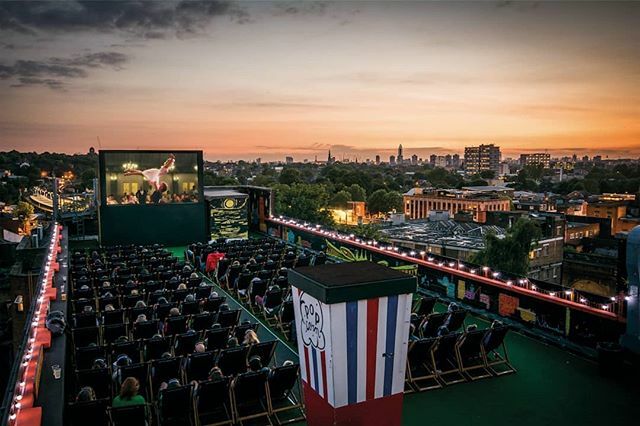 The ever-popular Rooftop Film Club will be in residence from May (find out more about them here), with a slate of cult and classic cinema releases on the roster. For a more zen experience, Flow East Yoga offer sun salutation every week, with vinyasa flow classes open to yogis of all levels. Perfect for those who’d prefer something more chilled/can’t stand the devastating fallout from an overly competitive round of crazy golf. 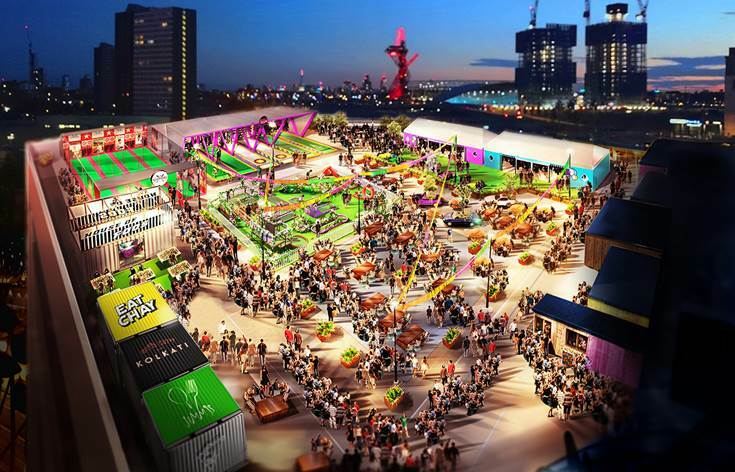 Last, but by no means least, there’s a plethora of street food in the offing. Kolkati will be joining the Roof East team to serve flaky kati rolls, Eat Chay will bring Korean and Vietnamese-influenced vegan cuisine, and Jimmy Garcia will launch The Burger Bar, serving – you guessed it – burgers. 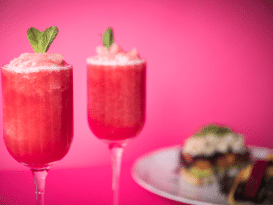 Cocktails on deck include a rum and raspberry Knickerbocker Royale, and the dangerous sounding Electric Boogaloo, made with blue tequila. All that, and it’s still free to enter – it’s a hard life up on the roof, isn’t it? Location: Stratford Multi Storey Car Park, Great Eastern Way, E15 1BB. Nearest station is Stratford. See it on Google Maps. Opening hours: 5-11pm (Tuesday to Friday), 12-11pm (Saturdays and Sundays). Roof East is closed on Mondays. Entry: free (see more free things to do in London). 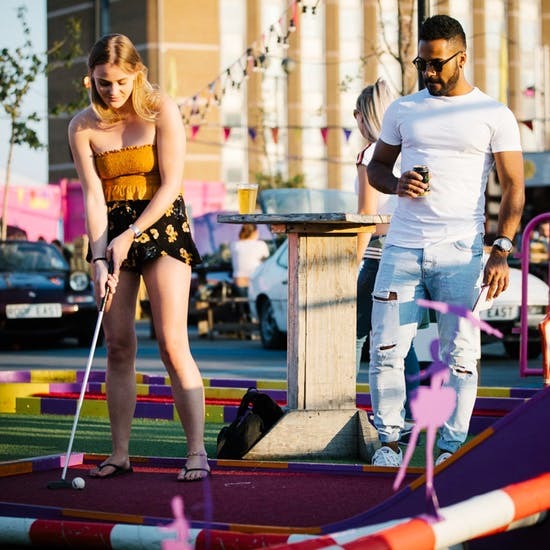 Games and Rooftop Film Club are booked separately, and prices vary – book Birdies crazy golf here.